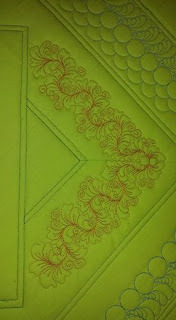 As always, before we get started with the Mystery Quilt, a few quilting tid-bits. If you are coming to the Houston Quilt Festival, please drop by and see me. 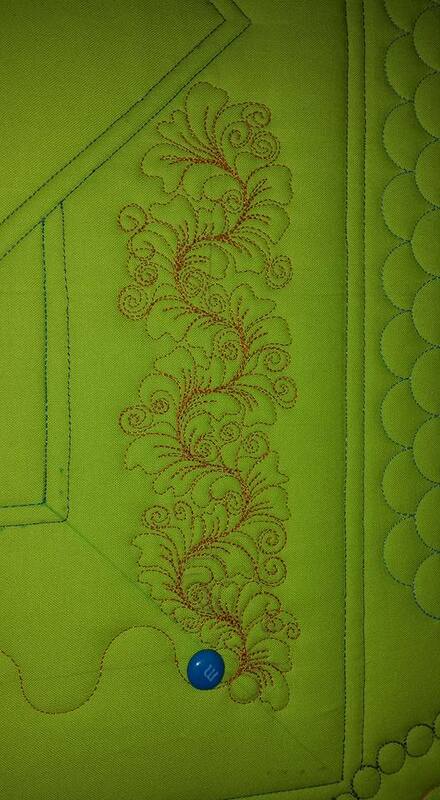 I will be in the Country Stitchin' booth on Thursday & Saturday. 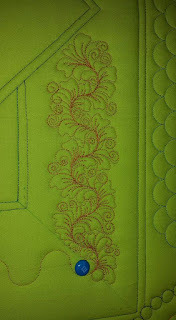 Get a sneak peak at my newest class samples. Don't be shy, introduce yourself! My friend Dar of Dar's Patchwork Garden has a Quilt of Valor block drive thru the end of the year. 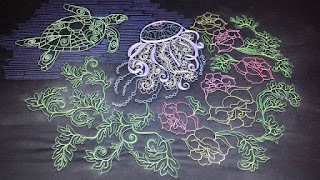 Check out her blog for block instructions and where to send your finished blocks. I'm still falling in love with piecing scrappy quilts! Since this Mystery was suppose to start more in the middle of the year, and life got in the way, I decided to name it "A Scrappy End". We'll be piecing the end of the year in scrappy style. This month we’re going to use all of the remaining strips of Background/Main (B/M) and the remaining strips of Shocker fabric. We’re going to build quarter log cabin blocks. My only rule, the same fabric could not be in a block. Sew a 1.5” x 1.5” Shocker square to a 1.5”x2.5” B/M piece, press to the B/M fabric. Add a 3.5” B/M strip. Press to the new strip. Add a 5.5” B/M strip. Press to the new strip. Add a 7.5” B/M strip. Press to the new strip. Add a 9.5” B/M strip. There are only 20 of the B/M strips. Use the remaining 4 Shocker 9.5” strips to make the last 4 blocks. Press to the new strip. You will have 24 blocks. Since we're playing catch-up and want to complete this Mystery by year's end, I'll be posting the next set of instructions soon! If you or your local quilt guild would like to use my pattern for this Mystery Quilt, please feel free. You have my permission to make copies for your guild. All I ask is that you give me credit for the pattern If you would like it in PDF format, please email me (atticthreads@yahoo.com) and I will add you to my email list. Can't wait to get started on the third set of instructions!! 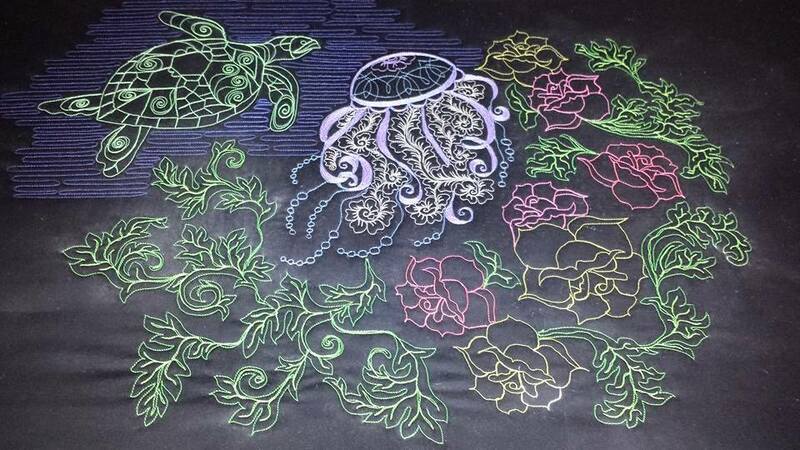 Awesome quilting Ann!! !